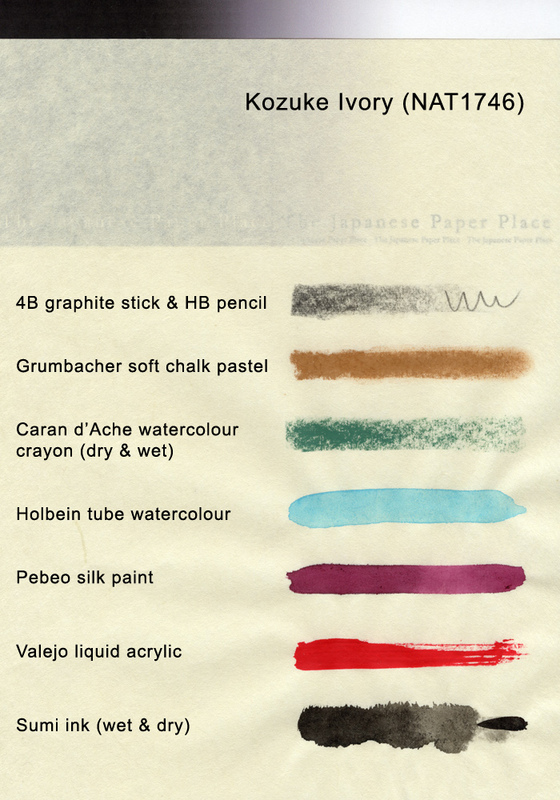 In addition to our selection of printmaking papers from Arches, Rising Stonehenge, Somerset, and B.F.K Rives, we are happy to add this assortment of specialty printmaking papers from Japan. The term 'rice paper' is often a misnomer as rice rarely plays a part in the manufacture of papers in Asia. 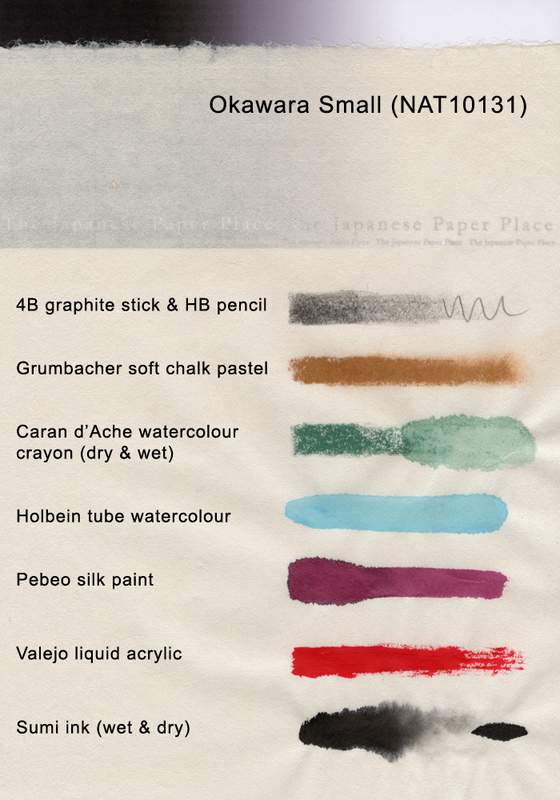 Quite often, unryu papers are often confused with what people believe to be rice papers. 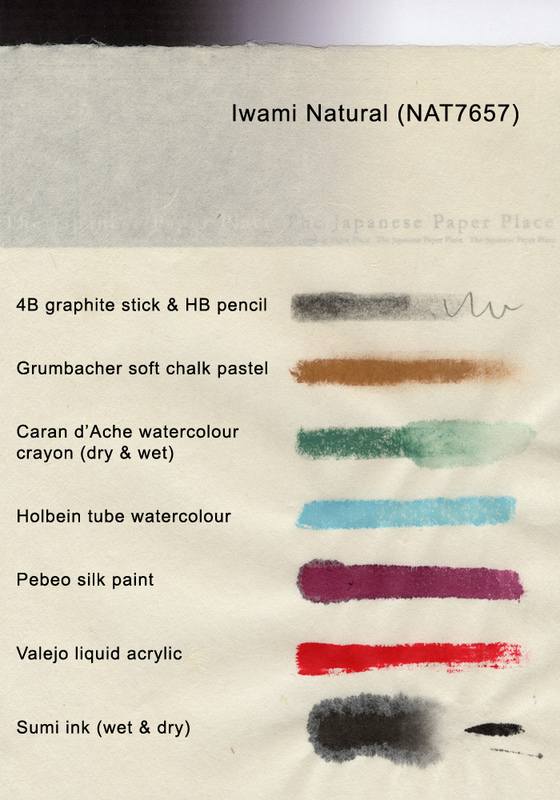 The term unryu (meaning cloud dragon paper in Japanese), is characteristic of paper containing strands of fibre that are added to the sheet to create contrast and texture. 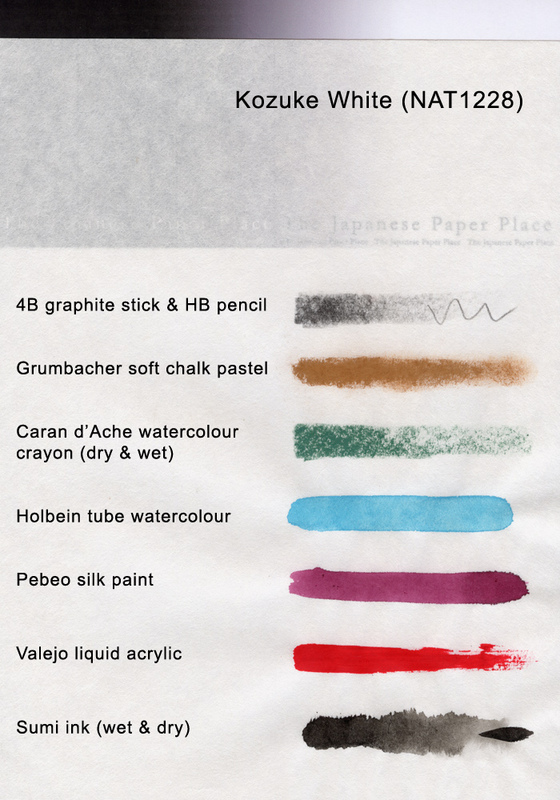 Japanese paper (or washi) is typically thin, strong paper made from vegetable fibers. Japanese tissue may be made from one of three plants, the kozo plant (Broussonetia papyrifera, paper mulberry tree), the mitsumata (Edgeworthia chrysantha) shrub or the gampi tree (Diplomorpha sikokiana). 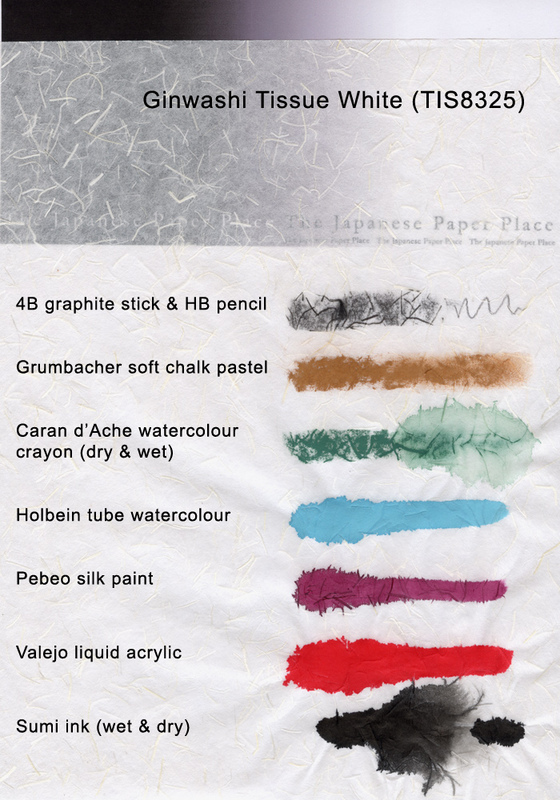 The long, strong fibers of the kozo plant produce very strong, dimensionally stable papers, and are the most commonly used fibers in the making of Japanese paper. 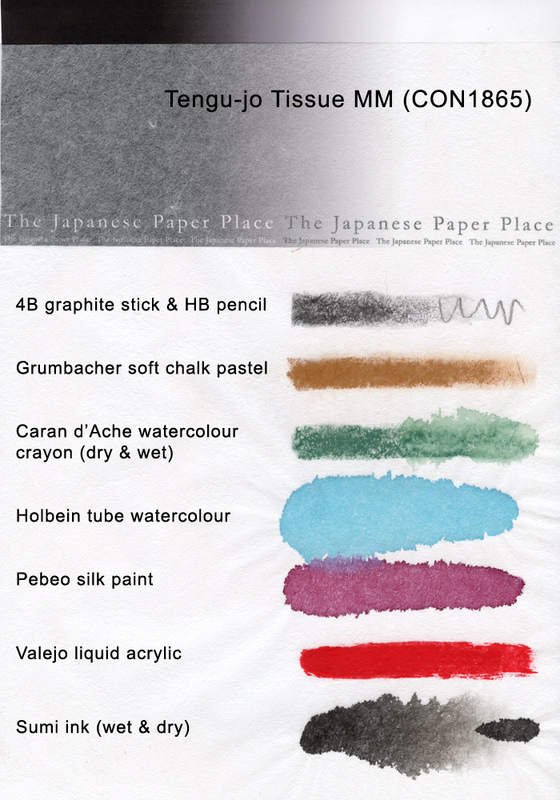 Tissue made from kozo, or kozogami, comes in varying thicknesses and colors, and is an ideal paper to use in the mending of books. 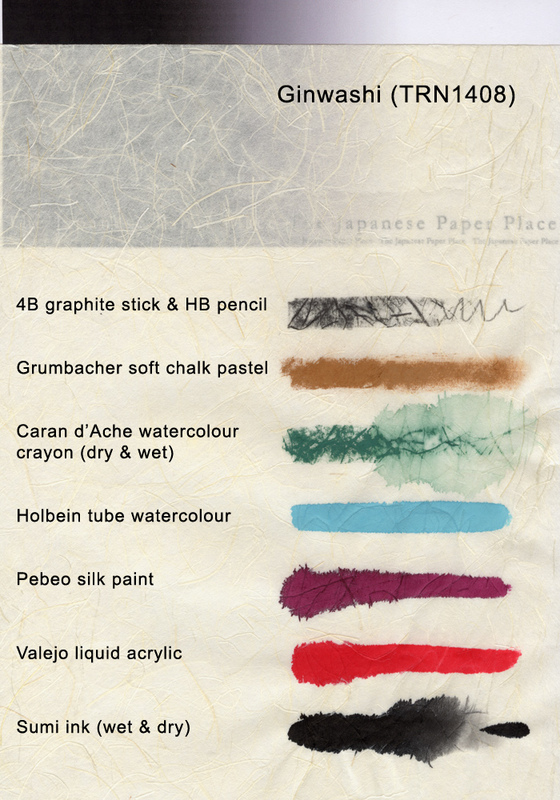 The majority of mending tissues are made from kozo fibers, though mitsumata and gampi papers also are used. Natural colour, 100% Philippine gampi, 16" x 21", 35g. Smooth, natural-toned background with small, dark inclusions of gampi bark. Machine made. Cream colored, 100% gampi. 25" x 37", 32g. White, 100% abaca with short fibres. 24" x 38", 30g. Heavy weight, 100% abaca with long fibres. 24" x 38", 48g Natural colour. 80% kozo, 20% sulphite content. 24" x 39", 24g. 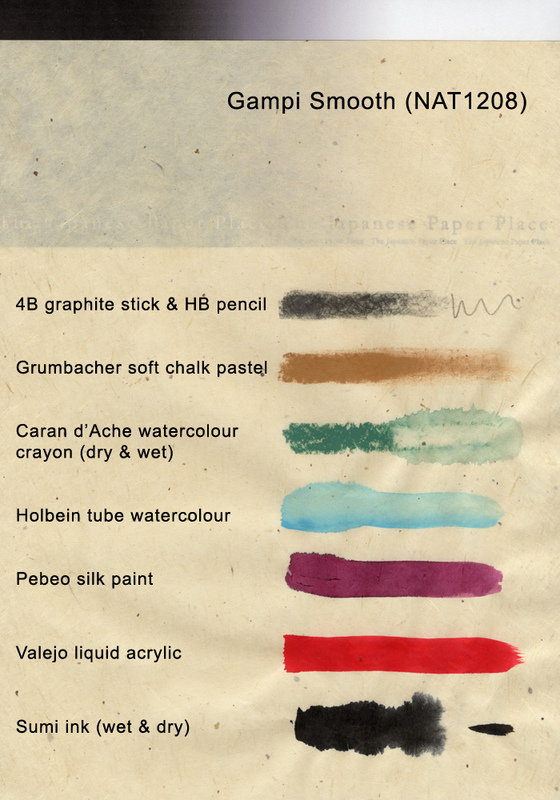 A good quality, versatile sheet for painting, drawing, and printmaking. Sized. Off-white, ivory colour. 25" x 37", 44g. 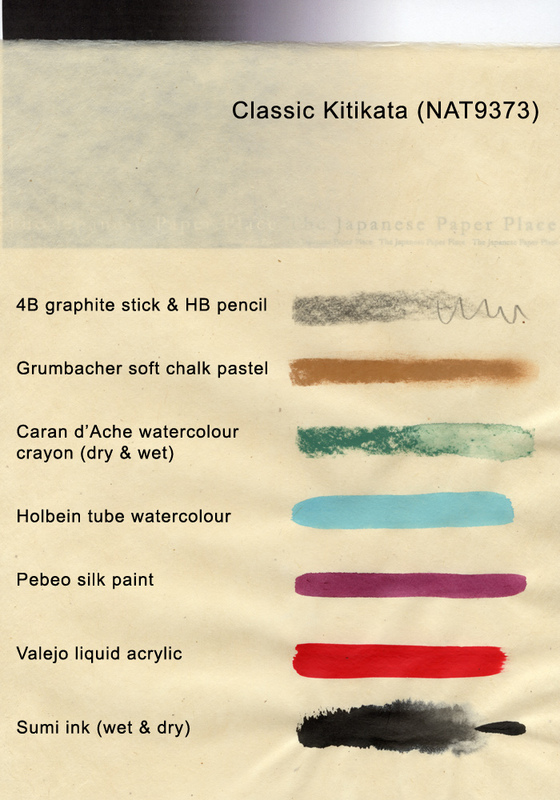 A good quality, versatile sheet for painting, drawing, and printmaking. Sized. Bright white colour. 25" x 37", 44g. 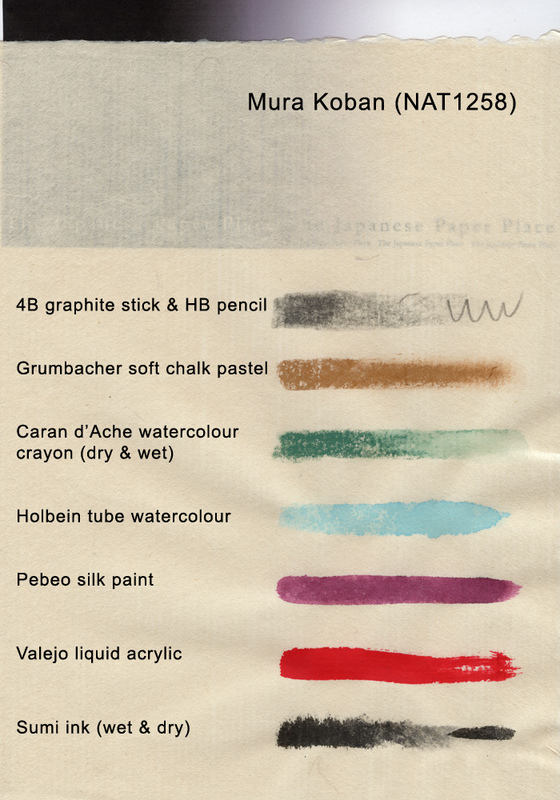 natural colour, lightly textured surface. 100% kozo. 13" x 16.5", 40g. Natural colour. 25% kozo, 75% sulphite. 17.5" x 25", 40g. 100% kozo, lightweight tissue. 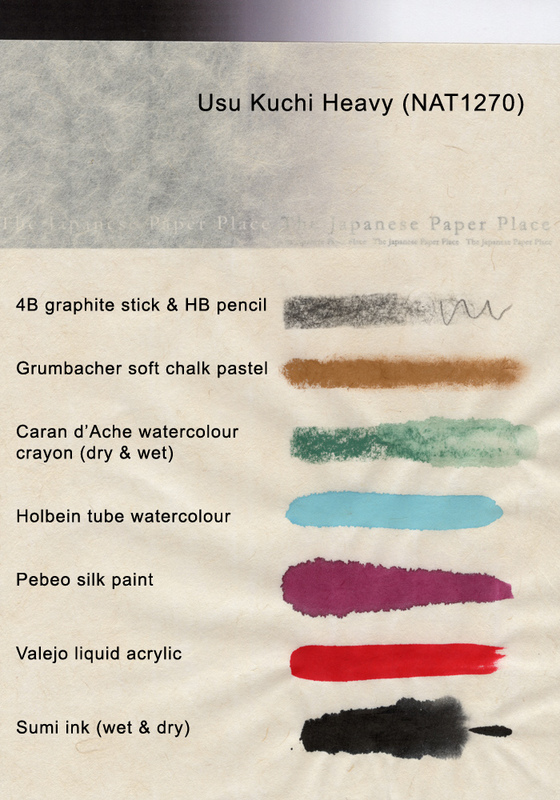 25" x 37", 12 g. Great for dyeing, as text pages, printmaking and chine colle. Very absorbent, highly translucent, unsized and machine-made. Natural colour, 100% Thai kozo. 25" x 37", 31g.